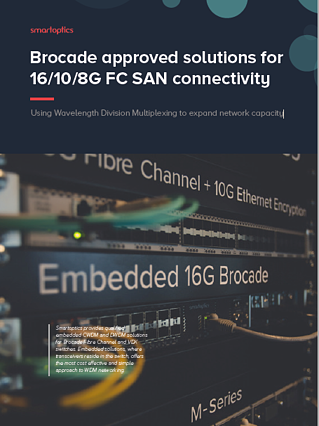 Smartoptics embedded solutions enable long distance CWDM/DWDM transceivers to be connected directly into Brocade switches. While system capacity stays the same as with traditional DWDM networking platforms, the embedded solution presents far fewer elements at risk of failure. Capex and opex can also be significantly reduced for more cost-efficient optical networking.